After having inked a series of deals with different hotels, TripAdvisor signed its first partnership with a food delivery service. The Needham, Ma.-based travel company announced on Monday an agreement with Grubhub leading to the integration of its restaurant network with TripAdvisor's travel booking platform. Consumers browsing U.S. restaurants on TripAdvisor will now have the option to order food via Grubhub in 1,100 cities, the company said in a statement. To place their order, users should click the new “Order Online” button to be redirected to Grubhub’s platforms. The service works both on desktop and mobile. "This deal is the latest extension of TripAdvisor’s growing commitment to the restaurant industry," a company spokesperson wrote in an email to BostInno. Among other moves in the restaurant industry, TripAdvisor listed the launch of a subscription-based service for restaurant owners earlier this year, the "longstanding" partnership with restaurant-reservation service OpenTable, and the undisclosed investment in EatWith, a social dining startup known as "the Airbnb of food." Both OpenTable and EatWith are based in San Francisco. The deal with Chicago-based Grubhub is the latest in a long list of partnerships that TripAdvisor has signed, especially to bring hotels onto TripAdvisor’s Instant Booking platform. Hotel partners include Starwood Hotels & Resorts Worldwide, which said it operates more than 1,270 properties in 100 countries. More recently, Grubhub signed deals to let users order their takeout through a voice request on Amazon Alexa and through the new Samsung's smart fridge. "With more than 4.2 million restaurant listings currently on TripAdvisor, we have evolved into a global leader in helping travelers and locals find or reserve a table at the perfect restaurant," Bertrand Jelensperger, Senior Vice President of TripAdvisor Restaurants, said in a statement. 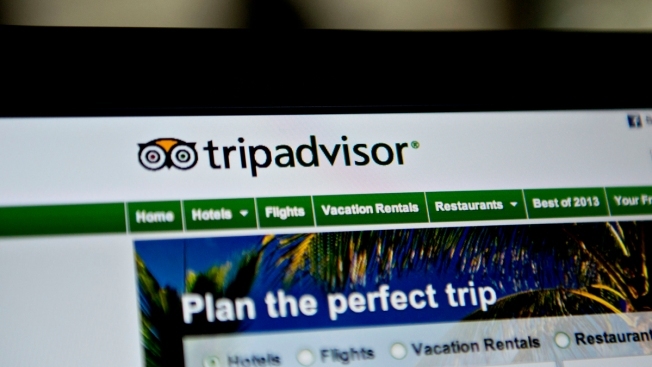 On Monday morning, shares of TripAdvisor were up 0.76%, or 40 cents, at $46.56. On the contrary, Grubhub stock was down 0.72%, or 33 cents, at $45.30. TripAdvisor said that terms and length of the agreement with Grubhub will not be disclosed.